Each our phpfox products are open source! You can use them for free! The phpfox apps and themes by codemake are provided under the MIT license with no commercial support or liability. phpfox@lifeinlife.xyz also provides commercial support and professional customisation services. 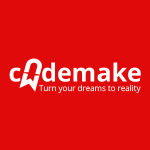 We've been working with Codemake for a few months and have been very impressed with their work. Not only have they got incredible, versatile and professional skills, they're great communicators too.